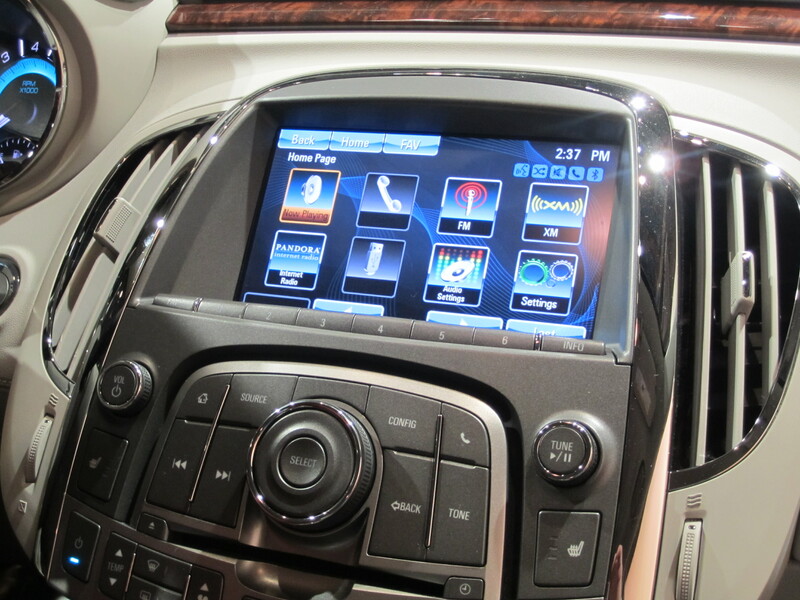 Intellilink allows a driver to connect their smartphone or mp3 player to connect to the car via bluetooth and usb. While many cars will allow you to do something similar, the Intellilink allows someone to not only listen to their devices but to control it through the car via touch screen, voice and steering wheel controls. When apps are programmed to be used by Intellilink, like Pandora and Stitcher Radio, they can be used seemlessly and can not only be controlled by the system, but they will appear on the screen, showing the info about what you are listening to. For those times when listening to your own music, the Buick will contact Gracenote and show the song information and album cover. Intellilink works well with OnStar and the other features we were trying out on the Chevy SXSW road trip. Using OnStar to set the GPS while driving, since Chevrolet and Buick do not allow a user to manually program the GPS while the car is moving, is nice, but it would be cool to be able to see where they take this technology next. Will we be able to be listening to a song and purchase it via iTunes or Amazon from the car? Will they add full internet capabilities to the touch screen? Only time will tell, but the streaming of music to the car is a good step forward, as terrestrial radio dies its slow, painful death.